To understand what a Corbyn win would mean we need to understand what happened in the 80s. Labour must start building beyond the party - it must be part of broader social currents. This essay is in two parts. The first is an answer to some questions from one of my students, prompted by Labour’s disastrous electoral performance in May 2015 and by the surprise surge in apparent support for radical left-winger Jeremy Corbyn in Labour’s current leadership election. The second is an elaboration of some of the arguments made there. Is there any hope? Can the Labour party come back from this? I look at Jeremy Corbyn and to my (uninformed)mind he seems like a pretty good guy, is that the case? Do you think he is a good choice for leader? Is it even worth hoping he is a good guy? Once the Daily Mail, The Sun and the rest of the press get their hands on him, will they just tear him down? I had been putting off formulating any answer to just these questions, which we are all asking ourselves at the moment, for some time. But being prompted by Jack in such lucid terms provoked me into addressing them as fully as I could. So this was my reply, written last week, before the press was actually full of references to the early 80s and the SDP experience - which it now is. To put it bluntly, there’s always hope of progress, but I think there’s a pretty small chance of it coming through the Labour Party now, despite having been a member for all my adult life. In the parts of Europe where radical parties are making real progress, Spain and Greece (despite how bad the situation is in the latter), what’s happened is that the traditional parties of the centre-left have lost a lot of their traditional support. Labour may well be going the same way in the long term. Corbyn is a genuinely good guy. But yes, the Tory press will make mincemeat of him if he becomes Labour leader, at least in the short term. But it may be that the most useful perspective is not merely to concentrate on who will win the next general election, especially if we consider the historical precedents. If Corbyn does become leader, you can expect to hear the media making endless comparisons with the early 80s. That’s when Labour made the biggest shift to the left in its history and suffered its biggest electoral defeat. Having elected an intelligent but un-charismatic left-winger (Michael Foot) as leader in 1980, Labour suffered its worst result since the 1920s at the 1983 general election. I was only 11, but I can still remember well what a blow it was, and how it convinced many people over the course of the 80s that only a moderate Labour party could ever win an election. The left of the party was led by Tony Benn, who wanted to keep pushing for a radical programme, and they were always very ambiguous about what they would do about the fact that they obviously could not command the support of a majority of the voting public, or even the 40% traditionally needed to win elections under our voting system, at least for the foreseeable future. Many of them seemed to believe that if they just stuck to their guns and shouted loud enough for long enough, then sooner or later the great British public would come around to their way of seeing things. You can see why many people thought this was a stupid approach, and why a lot of those people ended up Blairites in the 90s. One of the effects of the shift to the left in the early 80s was that a large faction on the right of the party had split off to form a new party, the SDP (social democratic party), which split the anti-Tory vote, wining hardly any seats but helping Labour to lose lots of them, especially in the ’83 election. After a surge of popularity immediately after it was formed, the SDP dwindled in support, forming an alliance with the Liberal Party, which became the dominant partner and eventually merged with the SDP to form the Liberal Democrats. Many on the Left have argued that the SDP split is what really did for the radical socialist version of Labour in the early 80s, but I think that the split was a symptom not a cause. It was a symptom of the fact that the radical socialist programme which Labour had adopted simply did not command public support, or even the support of much of the party. Most of the people who voted for the SDP in ’83 would not have voted Labour if the SDP hadn't been invented. So the argument made by people on the right of the Labour party, and also by the so-called ‘soft left’ was that it was just self-indulgent to pursue a radical manifesto that you knew you couldn’t win an election with ('soft left' was a name given to those Labour members who sort of had a radical analysis of the problems with British capitalism but advocated a pragmatic, cautious approach to actually doing anything about it). They came to the conclusion that the most important thing was always to win the next election, so that the Tories could not cut any more public spending, inflicting yet more cruelty on the poor and the young. When I was a teenager I was very persuaded by this argument. The trouble is, after Labour started watering down its commitments to radical socialism, it didn’t win the 1987 election (although it did better than in 1983), and it didn’t win in 1992 (but again did better), and it finally had to become the entirely pro-neoliberal ‘New Labour’ before the Tory press would get behind it. After which, it won, and did implement a few positive reforms, but ultimately did nothing to strengthen the collective power of British citizens or the Labour movement. The result was that once the long economic boom of the 2000s came to an end, and the government couldn’t keep spending public money while refusing to seriously raise taxes, it had no real basis for mobilising support against a somewhat revived Tory party led by Cameron. It also had no Plan B once the economic model inherited from the Tories (fuel a property boom - let people use personal borrowing to increase consumption - hope that this cycle never comes to an end even though it inevitably will…) came unstuck. So these days I tend to think that it would have been better if the left had remained in control of Labour in the 80s, even if it meant definitely losing the 1987 and 1992 elections (which it lost anyway!). By maintaining principles, but, more importantly, by organising in communities, developing alternative media, etc, instead of just focussing on trying to win the support of the Sun and to look good on TV, then it might have been possible to build a real political movement, and by 1997 there might have been a substantial political force in place which would have been able to back up a genuinely radical government. Instead what we had was a charismatic leader (Blair) who was effectively elected on a promise to the City of London and Rupert Murdoch that he would never, ever, do anything to upset them. Of course this might all be nonsense, and of course it might have been that Labour would have just dwindled almost to nothing by 1997 if it had pursued any other course than the New Labour one. In fact I think this is almost certainly what would have happened if Labour had just adopted a radical manifesto, but had not radically changed its political strategy. If you don’t play to win or make some real effort to change the game, then you are obviously going to lose and keep losing, which is what Labour had been doing for most of its history, frankly. But Labour could have tried to change the game. Some commentators (people like Stuart Hall and Hilary Wainwright had consistently argued that Labour could only win on a progressive platform if it was willing to become part of a broad coalition of social forces and political parties, perhaps entering into some kind of agreement with the liberals and the nationalist parties (for example doing deals to stand down in each other's favour in constituencies they couldn’t win); instead of just thinking it would always be enough simply to try to win a parliamentary majority for Labour, as if that itself was a magic solution to the problem of capitalist power! Arguably if they had been willing to do that, to put together a coalition which obviously included people from different political traditions, walks of life, and parts of the country, then they might have been able to build a democratic alternative to neoliberalism than had real popular appeal. But they didn’t even try. The reason I’m going on about all this now is that I think the same thing is almost certainly true today. If Corbyn were willing to argue for a change to our antiquated voting system, to work openly with the Greens, Lib Dems, SNP and Plaid Cymru, to tell people the truth that it might well take ten years to build a movement that would really be able to change things, then he might really be able to make things happen. Unfortunately that doesn’t look very likely - it seems more likely he would just do what Labour did in ’83, and go to the country on a radical manifesto which the papers would destroy, and which people would understand intuitively he could not deliver on anyway (cf Greece), because you can’t deliver a radical programme when you haven’t spent years building up support for it in communities up and down the country. That’s not because he’s a bad guy. But I haven’t seen any evidence that he has the kind of strategic imagination necessary to break the deadlock for the left in England. There are various other things going on, however. Projects like http://takebackthecity.org, http://www.compassonline.org.uk, http://neweconomyorganisersnetwork.org, http://bricklanedebates.tumblr.com etc, are in different ways dedicated to trying to build a grassroots-led and broadly-based movement for social change. These are all real sources of hope for me. In Scotland the radical independence campaign, with groups like Common Weal playing a key role, developed very quickly once it got some momentum, and the result was the SNP victory at the general election and the SNP moving radically to the left. Could something similar be about to happen to Labour? A grassroots surge turning it almost overnight into something quite different from what it has been up till now, with Corbyn’s leadership merely the vehicle for that? It’s possible - although it’s not that likely. It’s more likely that Corbyn’s leadership would indeed be the beginning of the end for Labour; but that in the long term that might be a good thing. It might be that this would finally enable the kind of movement to develop that didn’t develop in the 80s, with organisations like the ones I’ve mentioned forming part of that new movement, and some new configuration of political parties might finally emerge on the left. But the key thing to remember here is that the overall lesson of all this history is that there are no quick fixes. It would have taken 20 years to rebuild the Labour movement after the defeats of '83/'84 (’83 election, miners’ strike). But 20 years is only a fraction of most people’s lifetimes these days, and if we’d gone that route instead of hoping that one more election victory, one more set of compromises with Murdoch, would sort everything out for us, then Labour might not be in the disastrous state it’s in today. 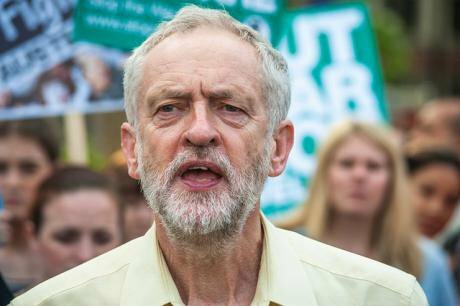 So - is there any real chance of Corbyn becoming the next prime minister? I doubt it, unless he does some kind of deal with UKIP and SNP to elect a government which would promise to introduce proportional representation, and then hold further elections; which is what I would love to see happen personally. But then, there’s probably more chance of him doing that than of any of the other potential Labour leaders doing anything very constructive. And even if he doesn’t, then his election as Labour leader could be part of a process of change which would have good results eventually, 10 years or further down the road. Of course, his election as Labour leader remains pretty unlikely, whatever the polls say. But the fact that they are saying it at all should give us a little glimmer of optimism. So is there any real reason to hope? Well not much, for the short term. But I would say that hoping for the short term is exactly the thing that got us into this mess in the first place, and the best way to get out of it before you’re in your 40s might be to accept that there’s no magic solution in the short term, and think about the best ways to build a popular movement against neoliberalism in the long term. Does it even matter, from this perspective, whether Corbyn wins or not? Not much, to be honest… but he’s such an unknown quantity, it’s so hard to foresee what he’d actually do if he became leader (he probably doesn’t have a clue himself right now), that it’s probably at least worth a punt. That was the reply to Jack. There are some points made there that I think are worth elaborating a little further, particularly with regard to the political legacy of the 1980s. In some ways Ed Miliband’s election as Labour leader already marked a return to the divisions of the 1980s, to the extent that it clearly marked the re-emergence of the ‘soft left’ as a distinctive strand within Labour. This had been the dominant tendency in the party under Kinnock and arguably for most of its history, but was widely seen as having willingly submerged itself into the New Labour project in order not to compromise party unity under Blair. The current leadership election, I think, is confirming this fact if nothing else: the soft left is still the historically dominant tendency in the party, and at present it continues to share a collective sense that the Blair project did not end well for the party or the country, and that it is damned if it’s going to be told how to vote by the partisans and architects of that project. 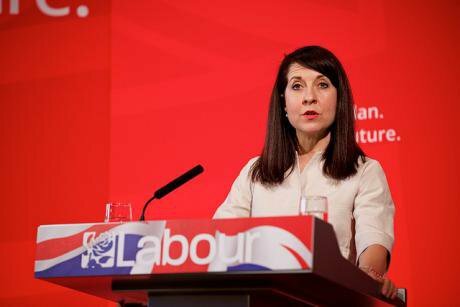 The more Blairite grandees have come out for Liz Kendall, the further behind in support she has lagged. Now it seems that for many in Labour, even Andy Burnham’s position is too tainted by association with the Blair years, and only a leadership candidate (Corbyn) who has opposed the leadership literally for 30 years can attract their support. It’s worth recalling some history here. What I’m going to offer now is a very simplistic sketch, mainly for the benefit of people who, like Jack, are too young to remember any of this. This is a formulaic way of explaining what happened, but it’s roughly accurate. New Labour only ever became possible because the soft left formed an alliance with the right of the party, which had always dreamed of ditching the last residues of socialism from Labour’s rhetoric and programme. Looked at in a long historical perspective, this was always an unlikely alliance. The differences between the soft left and the hard left from the beginning of the 80s had largely been seen as tactical and strategic in nature, rather than fundamental differences of principle and analysis. What made the ‘soft left’ and the ‘hard left’ both ‘left’ was the fact that, broadly speaking, they all accepted a loosely Marxian account of the fundamental problems with capitalism as such, and were committed to trying to create a different economic model sooner or later. The right of the party, conversely, didn’t share the socialism and anti-capitalism of the ‘soft’ and ‘hard’ lefts. However, around the mid 80s some of the differences between soft and hard left came to seem more fundamental. There were really two sets of issues here worth focusing on. On the one hand, the hard left was almost completely hostile to the idea that fundamental changes in the nature, scope, technologies and institutions of global capitalism were going to have any significant political implications. The decline in manufacturing industry in the global north wasn’t going to affect the way the labour movement organised; the nation state would still be an appropriate vehicle for the implementation of socialism; anyone who said differently was a bourgeois revisionist. This meant that historically radical intellectuals such as Eric Hobsbawm and Stuart Hall were treated as irrelevant or worse by a hard left which really did have its head buried in the historical sand. It is worth remembering here that from the Militant Tendency/Socialist Party to the Socialist Campaign Group (the main Labour hard-left grouping) to the Socialist Workers’ Party, most hard left and Marxist-Leninist groups didn’t finally admit that globalisation, digitisation and the shift to a service and retail economy (‘post-Fordism’, in other words) weren’t just irrelevant historical blips until some time well into the 21st century. They didn’t drop their commitments to vanguardism (the idea that one organisation could be the leading force of social change) and democratic centralism (the idea that all members of an organisation had to adhere to a single party line) until even later. 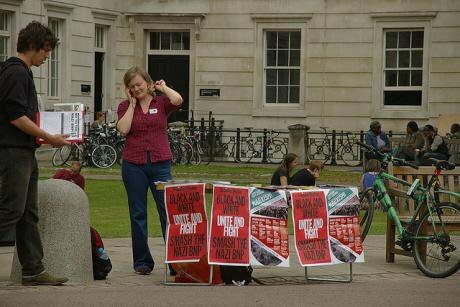 In the early 2000s, for example, the SWP was still convinced that the anti-capitalist movement could only become historically significant if its partisans were eventually schooled in the discipline of democratic centralism. Such groups also tended to be informed by the idea that the only reason to work with any political groups other than your own was to try to win their members over to your organisation. The notion that you might actually enter into working alliances with other groups over long periods, without trying to wreck those groups and the alliances you had made with them after a couple of years, once you’d recruited all the new members you could from them, was completely alien to the practice of organisations like Militant or the SWP, and wasn’t very easy even for the hard left of Labour ever to come to terms with. Observing this anti-democratic and anti-pluralist tendency in the hard left of the early 80s leads me to the other key point of rupture between them and the soft left. The hard left of the Labour Party was led by Tony Benn, whose political philosophy was always an odd, if potent mixture of Marxism, democratic socialism, Fabianism, and an almost mystical veneration for the British constitution. Benn was of course a republican, but he was also committed to the idea that parliamentary sovereignty was an idea that could be put at the service of socialist democracy, and was even historically destined to be, blessed as it was by centuries of honest popular struggle. Importantly, Benn was enthusiastic about the potential political role of the ‘new social movements’ (women’s liberation, anti-racism, etc); but he seems to have wanted them incorporated into the official structures of the Labour Party, rather than being very interested in the proposals for wider democratic reform which had sometimes emerged from the New Left. All this, combined with the attitudes of the hard left which I just described, produced a situation in which the hard left were for the most part militantly uninterested in any kind of proposals for democratic reform of the British state, for proportional representation, or for democratic coalitions of different political groups and forces. Proportional representation for the House of Commons was rejected in favour of the fantasy that a) Labour might be magically transformed into the revolutionary workers party that it had never been b) once that was achieved, first-past-the-post and the absolute sovereignty of parliament would be useful vehicles for the implementation of socialism from the centre. The Charter 88 campaign for constitutional reform, despite being partly inspired by the Marxist analysis of Perry Anderson and Tom Nairn (who pointed out that Britain had never had the kind of proper bourgeois revolution that results in, at least, a proper liberal-democratic constitution), got almost no support from the hard left. These were the conditions which pushed most of the soft left into the arms of the emergent Blair project in the early 90s. The Blairites at least seemed to understand that the world was changing, and many of them voiced open support for PR, devolution, and other democratic reforms. In private, Blair and Campbell even whispered of ending party tribalism, working with the Liberal Democrats to create a permanent anti-Tory majority. Those of us who were committed to radical democracy, pluralistic politics and to the idea that the left must adapt to a changing world, could at least talk to the Blairites without being accused of class treachery, even if we didn’t much like what they said, when we actually listened to it. However, these were not the terms on which the Labour mainstream actually made its explicit break with the hard left after 1983/4. Although these issues were all there in the background, the key argument that motivated most Labour members, MPs, and supporters was a much simpler one. In 1983 Labour had gone to the country on a radical manifesto and it had been a total disaster: Labour support fell to 28% of the vote. There was simply no point in carrying on like this. As Kinnock put it so persuasively - the greatest concession to Thatcherism was to let her win. We had to support a ‘moderate’ programme, to tone down our critiques of capitalism, because otherwise we would never be able to win an election and then start tilting the political balance back in our favour. We would condemn generations of children to poverty just because we couldn’t bring ourselves to stop saying that we wanted to nationalise the banks. It was both a strategic necessity and a moral duty to adopt a less confrontational stance. Only by doing so could we finally start winning elections. And it is on this point that I feel that most legatees of the soft left have still not faced up to our own historical mistakes. For the fact is, as I said to Jack: it didn’t work. Endlessly rowing back from a socialist agenda did not enable Labour to win elections in 1987 or in 1992. Victory in 1997 came only once Blair and Brown had convinced Murdoch and the City that they would pursue an ameliorative social programme - reducing child poverty a bit, spending more on schools and hospitals - only to the extent that it offered no challenge whatsoever to their power and prestige. The leaders of New Labour deferred absolutely to the social authority of the wealthy elites, doing nothing to challenge either their wealth or their values; so schools and other public services would be better funded, but would be forced to conform increasingly to a neoliberal agenda, and there would be no significant redistribution of wealth or power at all. Ultimately, 13 years of New Labour government left a country which was better in some ways than the one the Tories had been left in charge of, but in which the collective power of its citizens and workers was if anything even further reduced than it had been under the Tories. No wonder electoral turnouts, and the Labour vote, were already at an all-time low when Blair won his last election in 2005. This, incidentally, is something the Blairites really cannot seem to get their heads around. Blair won some elections and he won the support of the City, of certain key strategic constituencies in Middle England, and with them the Murdoch press. But in the process he lost 5 million votes (many of which have now gone to UKIP), left the UK income distribution less equal than he found it, and prosecuted an unpopular illegal war. His government did nothing to rebalance the economy away from its reliance on debt, over-consumption, property bubbles and unproductive financial services. At the same time it did nothing to alter the media ecology or the electoral system which hands such disproportionate power to the Tory press and to the middle-income swing voters in small towns who are the only people over whom the press exercise any real influence (such voters are a tiny proportion of the overall electorate, but are more or less able to decide every election result under our first-past-the-post system). Anyone claiming the legacy of social democracy, as Blair still does today, can reasonably regard this record as one of abject failure. This fact simply does not seem to register at all with the Blairites. They comfort themselves with the insistence that anyone who thinks differently from them must only be nostalgic for the past. Point out to them that there are lots of exciting new digital-age, 21st century methods that could have been tried for promoting equality, rebalancing the economy or democratising the media and the state, and you will be met with a blank stare. Believe me - I’ve tried it. Liz Kendall. Flickr/labour_party_uk. Some rights reserved. Of course, the point about Blairism was that it never had any real interest in achieving any of those goals. Blairism was a political project predicated on one unchallengeable fact: the hegemony of finance capital. This is a fact so sacred and so taken for granted by the Blairites that it is not allowed to be referred to. A bit like the way some religions forbid the naming of God - one is not allowed within Blairite discourse ever explicitly to acknowledge the presence and authority of the masters of the universe, except in allusive and reverential terms. Under all these circumstances, it’s clear enough that there is very little motivation for the Labour membership to return to supporting a Blairite project any time soon. Even if it means we lose elections, there comes a point at which constantly deferring to the authority of our historic enemies just becomes more demoralising than losing elections does. At the same time, there is no practical reason for most Labour members to return to support for a project which was such an abject failure. Even if it is not being explicitly articulated in these terms, I suspect what is motivating support for Corbyn, especially among the young, is a conscious or unconscious realisation that we’d be better off losing the next four elections, if it meant that eventually we could build a movement which could challenge the hegemony of finance capital, than simply carrying on as we have been doing for another three decades. If the Blairites really want to take Corbyn on, then it’s this proposition that they will have to answer. Bleating on about how we won’t win the next election with Corbyn as leader really isn’t going to cut it any more. It is quite clear that the Blairite commentariat really doesn’t understand what’s going on here. In the past week Jonathan Freedland and Helen Lewis amongst other commentators have made exactly the same argument: that Corbyn’s supporters are motivated by their longing for a secure sense of shared identity, by the desire to impress their friends with their virtuousness, by congenital immaturity and narcissism, rather than by any real desire for meaningful political change. Well, this is an argument I’m quite familiar with. I published a rather long book a few years ago (it can be downloaded legally here) whose concluding chapter was a detailed critique of what I called ‘the activist imaginary’: the mindset of those who prefer the comfort of knowing how radical they are to the prospect of possibly changing anything real. So I think I can recognise this mentality when I encounter it. And I can say now, with some pretension to authority, that this is not what’s going on with many of Corbyn’s supporters. The people I know who have become enthused by Corbyn’s campaign are mostly people with no particular political identity, no historic record of militancy, no sense of themselves as outsiders or rebels. Their enthusiasm is motivated entirely by the fact that Corbyn - as desperately unexciting an individual as he is - is the only politician they can remember offering a coherent account of what has actually happened to Britain in recent years that in any way correlates with their experience or their values. In this debate, I suggest, it is not they whose judgements are being clouded by self-regard and self-interest. Those mainstream commentators who have made careers out of claiming to know how an unchangeable system works have every reason to fear a threat to that system’s continuation, even if they have tended to be critical of some of its effects. Anyone who has read all the way to this point is probably wondering if I’m actually going to vote for Corbyn or not. Well I am. His campaign, the things he’s said, the way he’s said them and the support he’s attracted have all been tremendously impressive so far, and seem to embody exactly the kind of left populism that many of us have called for in recent years. But Corbyn isn’t yet the Labour leadership candidate of my dreams. To be that, he would have to, for example, argue that Labour should not run against Green M.P. Caroline Lucas in Brighton at the next election. That would mark a real end to the long tradition of Labour tribalism that has hampered the British left for so long. The bigger issue is what all this means for the wider left. Can we finally overcome the divisions of the 1980s? Can the legatees of the soft left finally overcome our desperate desire to win something soon, and recognise that without the kind of radical, imaginative movement that the best of the Bennites always argued for, then all we can ever hope for is Blair mark II? Can the legatees of Bennism finally get over their historic addiction to sectarianism and their indifference to the question of democracy, contributing to the formation of a broad-based radical coalition? I hope so: we’ll see. The lesson of history, as I initially remarked to Jack, is that there are no short-cuts to progress. Ultimately the issue is not whether or not Corbyn can win an election. The issue is whether enough of us can find the energy, the patience, the imagination and the openness to build a movement which can open up a new historical phase. Without one, it will make no difference who the Labour leader or the next Prime Minister is: we will all still be the slaves of the City. Thanks to Anthony Barnett and Tom Mills for editorial input.